The article is devoted to the relevant problem, i.e. the evaluation of the investment attractiveness of renewable natural resources in the underdeveloped Northern and Arctic territories. 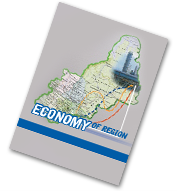 Economic interaction arising from the development of natural resource potential is the subject-matter of the study. The development of the methodological tools for the assessment of investment attractiveness for business and authorities is the purpose of the study. For the zoning of territories at the pre-investment project stage typical landscapes were selected and assessed by each type of renewable natural resources. On the basis of the analysis of the existing approaches to the zoning of natural resources, three types of landscapes were defined: the investment-attractive ones, the investment-attractive ones with some restrictions and the investment unattractive ones. During the study, the following hypothesis was confirmed: the selection of the most valuable natural resources increases the opportunities of their development. The investment attractiveness is determined by the advantages of geographical location, development of regional infrastructure, natural potential which is considered as a priority investment target. The need for the valuation of the natural resource potential of landscape areas within the boundaries of the assessed area is justified. The limitations are the low level of infrastructure development, insufficient resistance of landscapes to anthropogenic influence, the export of raw materials for recycling from the territories. The list of conditions that demand the introduction of correction factors to the cost parameters of the natural resource potential of landscape areas is justified. The main results of the research are presented in the form of the landscape zoning of the territory and as the developed methodological tools for assessing the investment attractiveness. The testing is conducted on the example of the Berezovsky municipal district of Khanty-Mansi Autonomous Okrug — Yugra. The Yamal region occupies the fifth part of the Yamal-Nenets Autonomous District. Therefore it is one of the territories where traditional natural resource management is mainly developing. Its key branches are reindeer herding and fisheries. The major problems in the development of industries are due to an active industrial and transport exploitation of the tundra zone; the situation in reindeer husbandry caused by pasture overgrazing because of uncontrolled increase in livestock; poaching fish. Two following anthropogenic factors have a negative impact on soil and vegetation in the Yamal region: reindeer herding as the main traditional form of natural resource management of Small Indigenous People of the North (SIPN) and the intensive industryrelated development of the territory (geological exploration, industry, transport, construction). Since grazing is practiced throughout the whole Yamal Peninsula, which is not occupied by industrial zones, it is the most widespread form of natural resource use and the leading factor of anthropogenic impact on Yamal’s natural territorial complexes. The primary reason for the decline in fish resources is the violation of the ecosystemic reproduction of fish resources due to their excessive catch. One of the main reasons of this is poaching. In turn, the annual increase of surplus catch is caused by the population growth, including SIPN, and the growing density of the road network providing the access to fishing grounds. The article offers the guidelines for economic damage assessment determined by the harm to the pasture resources. The authors justify the amount of compensation that repairs losses arising from their damage, which takes into account the decline in the productivity of land and the period of restoration of the economic and biological potential of pastures for the corresponding periods of years (compensation for economic damage). The economic damage assessment of the fish resources supposes taking into account the decline in their economic value. It involves the use of a refined population-biological approach while the detailed calculation. In addition, we give an example of the guidelines’ approbation. The numerous publications of the Soviet and post-Soviet periods are devoted to the consequences of the unfavourable impact of natural and climatic conditions on the health and life activity of both the indigenous and incoming population, especially in the areas of new industrial development. However, the issues of an integrated assessment of natural and climatic conditions in terms of their influence on the comfort of living remain insufficiently studied. The purpose of this study is to develop a consistent approach to assessing the degree of the comfort of living in the northern regions with the help of an integrated indicator, as well as to test this approach on the example of the territory of the Ural North. The study is based on the hypothesis that natural conditions are one of the main factors affecting the level of foreign population and increasing the cost of infrastructure facilities construction and ongoing production activities in the North. The article analyzes the state of methodological support for the assessment of natural conditions and the comfort of living, proposed by the representatives of various scientific fields — by economists, sociologists, demographers, geographers, ecologists, physicians, etc. We have proposed the basic principles and factors for determining the comfort of living in terms of climatic, socio-economic, medico-demographic and ecological approaches. By means of the empirical analysis, we have justified the methodological approach to assessing the comfort of living in the northern territories on the example of the areas near to the Ural mountains. We have proposed a set of indicators, which allow to adequately reflect the degree of comfort of living, and a calculation formula for its scoring. In the natural climatic zoning of the territory, we took into account zonal and azonal factors. The results of the assessment of the comfort of natural conditions are necessary to address a number of issues. Firstly, these results are needed to define a degree of comfort of human settlements conditions. Secondly, the natural conditions assessment is important for identifying the features of immigrants’ adaptation. Thirdly, the results of this assessment will contribute to establish opportunities for the formation of resident population from incoming population. And last, the assessment of the comfort of natural conditions is necessary to study the environmental sustainability to man-made activities, etc.